Perfect contoured legs are a distinctive feature of beauty, liveliness and health. Most of women feel that wearing long pants during playing an outdoor activity can be awkward. Wearing shorts and skirts is the most utmost desire of most of women when the weather around is excellent and enjoyable. But if you have excess fatty skin on your legs mainly on your thighs then wearing shorts or skirts can even become more cumbersome. Fortunately, you can reshape your legs and reduce excess fat with Thigh Lift, which is a cosmetic surgical procedure that reduces excess fat, tightens loose skin around outer and inner thighs and creates a smooth contour of your legs. If you don’t want going under the knife or want to avoid risks and side effects associated with Thigh Lift surgery or you are not an ideal candidate for the surgery then various non-surgical alternatives to Thigh Lift are available. While these alternative options will not produce permanent and dramatic results of surgical lift, they can help to dissolve fats and tighten the muscles for leaner-looking thighs and improves texture of the skin. Cosmetic surgeons have recently started using latest technology called as Arasys. It is FDA approved system that uses special waves of energy (called as bio-waves) to target the muscles in your thighs and buttocks and stimulate them to contract in the same way as they do during exercise. These muscles contractions enhance muscle tone in the targeted areas and also burn the excess fat. Arasys is originally developed to treat the patients who have multiple sclerosis but when it is proved effective in tightening the skin across the different body areas then it had transited to the cosmetic industry. Arasys works best on mild sagging skin on thighs but those people who have undergone huge weight loss will not get any benefit from this system because it does not work on removing excess fat, skin and tissues. However, the system could be used to complement the results of Thigh Lift surgery. Each Arasys session can lasts for 15-17 minutes and results in losing between 2-6 inches. It is a painless treatment with no downtime and no side effects. Titan is commonly used as a non-surgical alternative to Facelift surgery, but nowadays the device used in this treatment is also utilized to tighten the loose skin on the thighs. 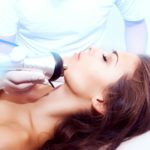 During the procedure, the plastic surgeon directs infrared laser which heats the treatment areas beneath the skin and causing the strands of collagen to contract along with a simultaneous contraction of surface of the skin, hence tightening the loose skin. The treatment session is 2-3 hours long that is enough to get the desired results. The results are immediate and visible after the treatment session but complete results will be visible after around six months. Titan treatment has no downtime and only few risks. Laser skin tightening is a non-invasive procedure which involves laser energy to stimulate the collagen in thighs which results in tightening of the loose skin. The procedure involves a handheld device which directs the infrared laser on the targeted area to tighten the sagging skin. As it is a non-invasive procedure, so there is no recovery time but the results appear gradually. In order to get the visible results, you need to undergo few treatment sessions and the results are apparent 3-4 weeks after the first treatment session. The procedure of Laser skin tightening improves tightness of thigh muscles but it will not remove excess drooping folds. Both the systems of VelaShape and VelaSmooth are another advanced technology that use electrical-optical synergy to tighten the loose skin on the thighs. The technology used in VelaShape and VelaSmooth system combines infrared energy, radiofrequency energy, vacuum and mechanical massage that simultaneously increases the collagen growth and tightens the skin tone. Infrared and radiofrequency energy heats the area beneath the surface of the skin to stimulate production of collagen. Vacuum and massage rollers enhance flow of blood in the targeted area and stimulate metabolic breakdown of fat. The treatment sessions are multiple while one weekly session is needed for about 4-6 weeks to get more dramatic results. VelaShape and VelaSmooth is also an effective method to reduce the appearance of Cellulite. Cellulite is a specific type of fat that causes dimples and ripples on your skin while also causing unsightly appearance on your thighs and buttocks. If your concern is to reduce this cellulite then you must consider getting anti-cellulite treatments. There are various types of anti-cellulite injections available that are a combination of some basic substances which include vitamins, pharmaceutical and homeopathic drugs. These substances are injected into cellulite tissues which cause the fat cells to dissolve. 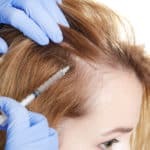 As these injections produce temporary results so they must be done at regular intervals so that they can prove to be effective and eliminate moderate to severe sagging. Both Mesotherapy and LipoDissolve are type of anti-cellulite injections that targets the cellulite tissues. 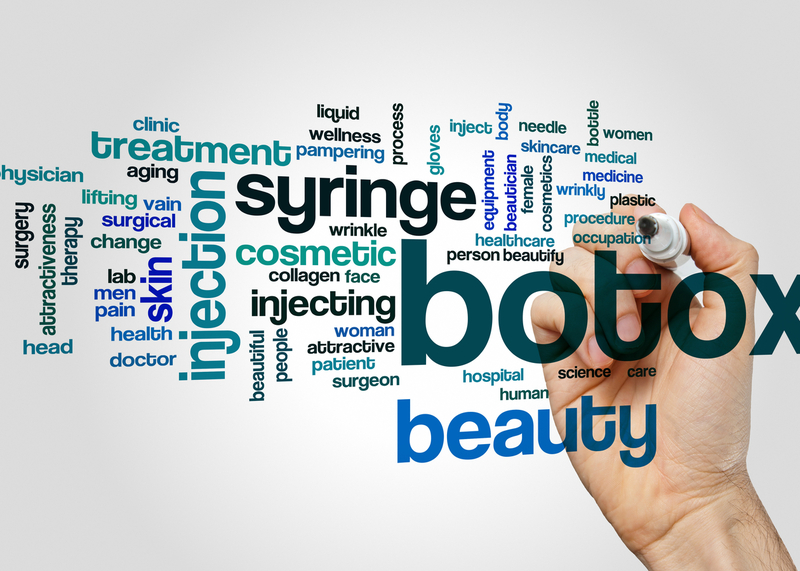 They are set apart from other anti-cellulite injection treatments because they target mesoderm, a middle layer of the skin, instead of targeting deeper layer. These injections break the unwanted fat pockets by weakening those connective tissues that are associated with cellulite. The broken fat is itself liquefied and eliminate out from the body through natural means. In both these treatments, customized combination of the basic substances is injected into middle layer of the skin. LipoDissolve is another type of anti-cellulite injections and the main difference between both these treatments is the concentration of the injected substances. More concentrated substances are used for LipoDissolve treatment. Garments that improve and contour your lower body are a quick non-surgical alternative for Thigh Lift. These garments include tight shorts or knickers that immediately slims the body and eliminate undesirable bulges in lower body. This treatment is best for those people who do not want permanent change in their skin or figure. If you have slightly drooping skin on your thighs or if you are concerned about the texture of your thighs then certain firming topical creams and lotions improve your thigh’s firmness. These treatments works best for those people who want to improve texture of their thighs and not for those people who posses lot of loose skin. These creams and lotions produce mild results and so they can be combined with another Thigh Lift treatment method. Creams and lotions are easily affordable as they are inexpensive. If you want to go for a hard and long but healthiest treatment option then you must adopt a healthy lifestyle regime through proper nutrition and exercise, which are very important for contoured and beautiful thighs. Maintaining a balanced diet and an exercise program not only helps you to lose weight but also improves the skin elasticity in different body parts and strengthens the muscles. You may consult fitness instructors for an exercise program that focuses on specific exercises for toning the thigh muscles. You can include fruits and vegetables in your diet for maintaining your skin elasticity as well as proteins for strengthening the muscles. Further you may also consult a nutritionist for a balanced diet plan. You have a lot of options for non-surgical Thigh Lift alternatives when it comes to sculpt the thighs. If you are willing to learn more about these non-surgical Thigh Lift treatments or want to determine a right treatment option for you then you can consult board certified plastic surgeons at Laser Klinic in NYC by scheduling a free consultation or calling us for an immediate response. How Can You Improve Your Frown Lines with Dysport Treatment? How PRP Hair Restoration Treatment Helps You To Regain Your Loss Hair?